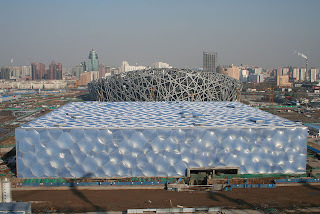 Is it just me, or does anybody else think the Beijing National Aquatics Center is hideous? The idea of covering the building in plastic bubbles that mimic the structure of foam must have sounded cool at one time. And as a physics groupy, I probably would have voted for it if anyone had asked me in advance. Now that I've seen it, I have to say "not so much." It makes me cringe every time the NBC cameras stray across it. Science-inspired art sometimes turns out well. At other times, it just doesn't work. Compare our own Alpinkat's rap to a music video from Fermilab, for example. I give the thumbs up to Alpinkat, but don't much care for the Fermilab video (to put it gently). 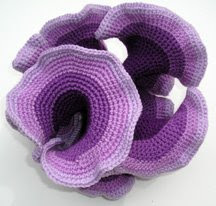 I also love Daina Taimina's crochet math proofs. 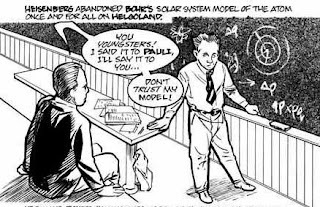 While at least one physics comic book series looks pretty bad to me. Reviews among physicists seem mixed on the child-like Einstein statue outside the National Academy of Sciences building in Washington DC. Some love it and some hate it, but I haven't met many physicists who fall in the middle. I love it, both because it's charming and because it has a weird acoustical secret that you can only experience by standing at the center of the star map inscribed on the ground at Einstein's feet and speaking to the statue. I'm in search of other examples of good and bad art inspired by science. Let me know if you have any suggestions.